The University of Southampton’s Head of Early Music, Elizabeth Kenny, is producing, directing and taking on tour a version of the earliest surviving English opera, Venus and Adonis – a tragic tale of love and loss, based on the classical myth. Children from local schools have been selected to take part in the concert version of the 17th century Royal opera by early composer John Blow, which is supported by the Arts Council England, the National Centre for Early Music in York, and the SHM Foundation. It will be performed at the Turner Sims, Southampton's premiere venue for classical music, at the University’s Highfield campus on 4 May. “In most recordings and performances of this opera the chorus of ‘cupids’ is played by adults, but our chorus is made up of local school children, putting them at the centre of the action on stage – more akin to original productions,” says Liz. Children from Portswood Primary School in Southampton took part in a number of workshops based around 17th century music. 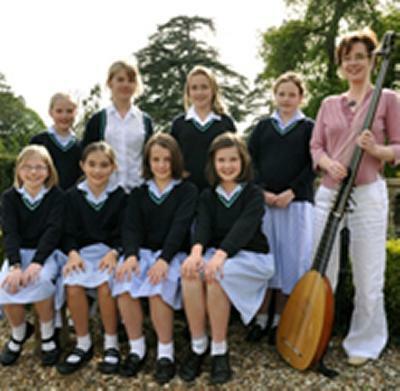 The sessions, in collaboration with the National Centre for Early Music, were designed to engage the children’s enthusiasm and also select twelve pupils to form part of the final line-up. They are joined by six others from Salisbury Cathedral School. Venus and Adonis is an opera dating from 1682 which was written for King Charles II at the height of his power and tells the story of Venus’s obsession with Adonis. 12 year-old Rebecca Lyles, from Salisbury Cathedral School, will play the character Cupid, alongside renowned soprano Sophie Daneman as Venus and Giles Underwood as Adonis. “Cupid is often played by a boy or male alto (true to the myth), but in the original production was played by the illegitimate daughter of King Charles II. We've cast a girl in this role, preserving the edgy if unexpected mother-daughter relationship between Venus and Cupid which Charles and his courtiers found so entertaining,” comments Liz. Venus and Adonis: The Hunt for Love will also tour the UK with performances at Wigmore Hall in London, St Michael le Belfrey in York and the Sheldonian Theatre in Oxford. The performance in London will be recorded for release on the Wigmore Live label. The York performance will be recorded and broadcast on BBC Radio 3. 28 January 2011, Sheldonian Theatre, Oxford, as part of ‘Music at Oxford’.